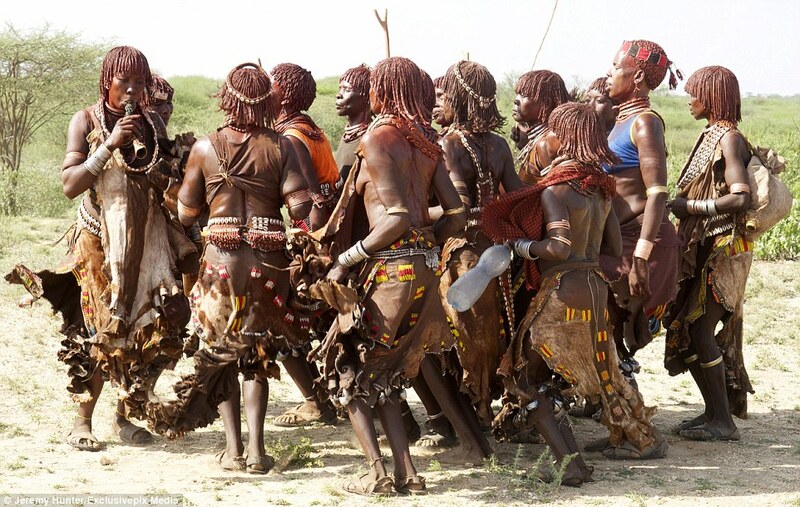 The strange ceremony takes place among the Hamar tribe people of Ethiopia. 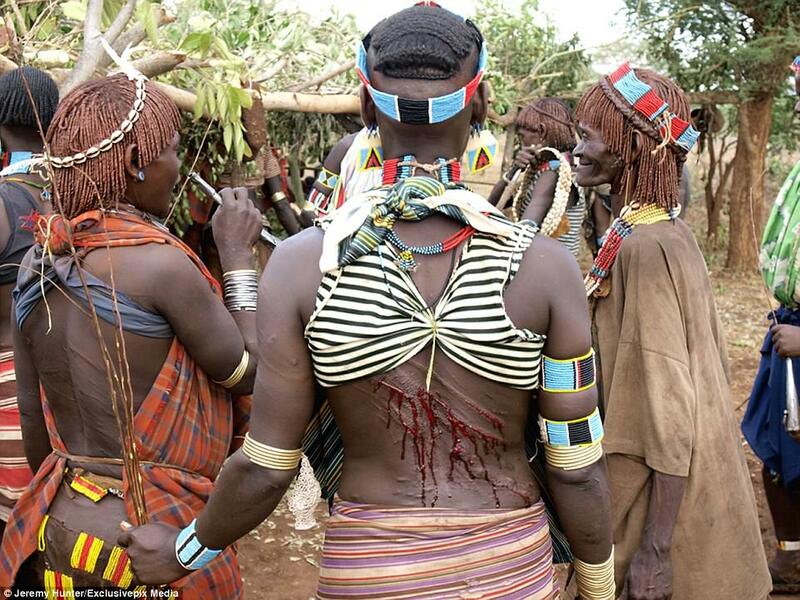 According to the people of the tribe, scars demonstrate a woman's capacity for love, and if they fall on hard times later in life it allows them to call on those who whipped them for help. 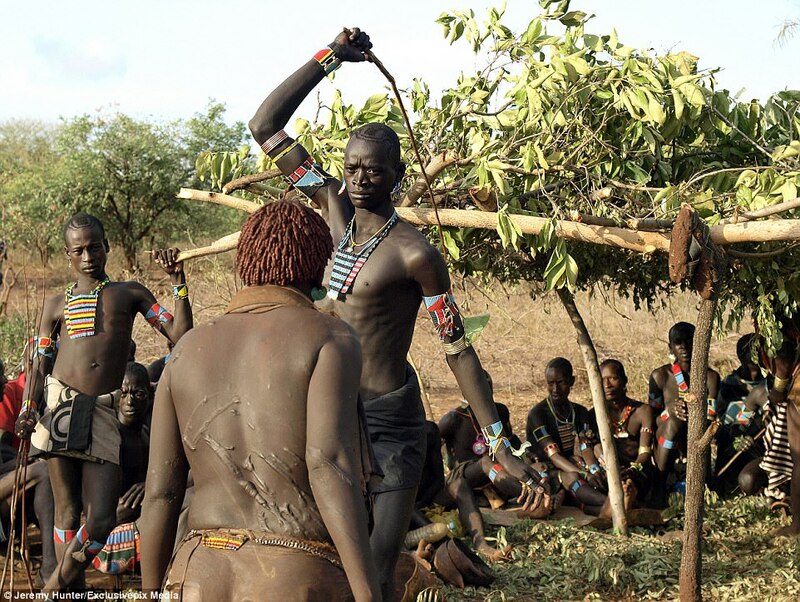 Some whipping appears to be tender, others more aggressive. 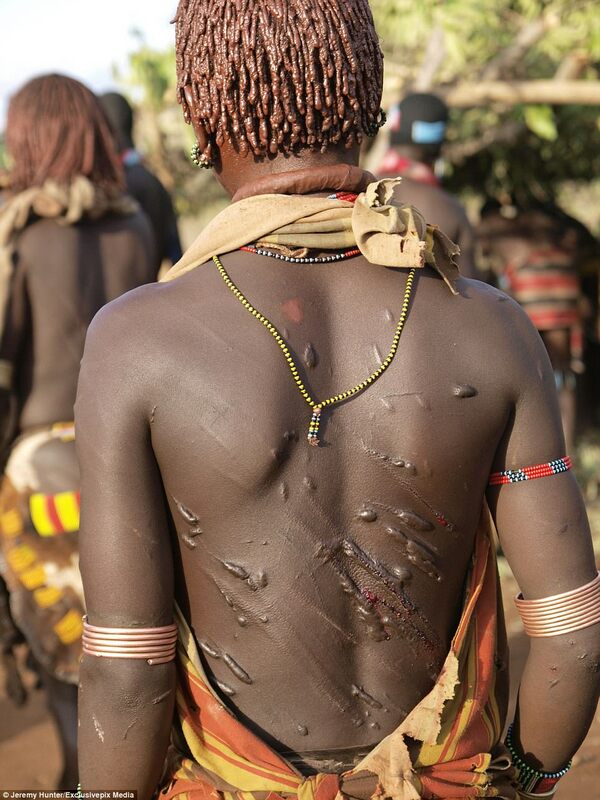 But once whipped, the girls proudly show off their scars - as proof of their courage and integrity. Itís a kind of Insurance Policy. The ceremony tends to unite the family and is a demonstration of the womenís capacity for love, and in later life - perhaps when they've become widowed - they will look to the boys who whipped them years before to request help.The scars on her back are said to be proof of her sacrifice for the man, and it is therefore impossible for the man to refuse her needs in hard times or emergencies. 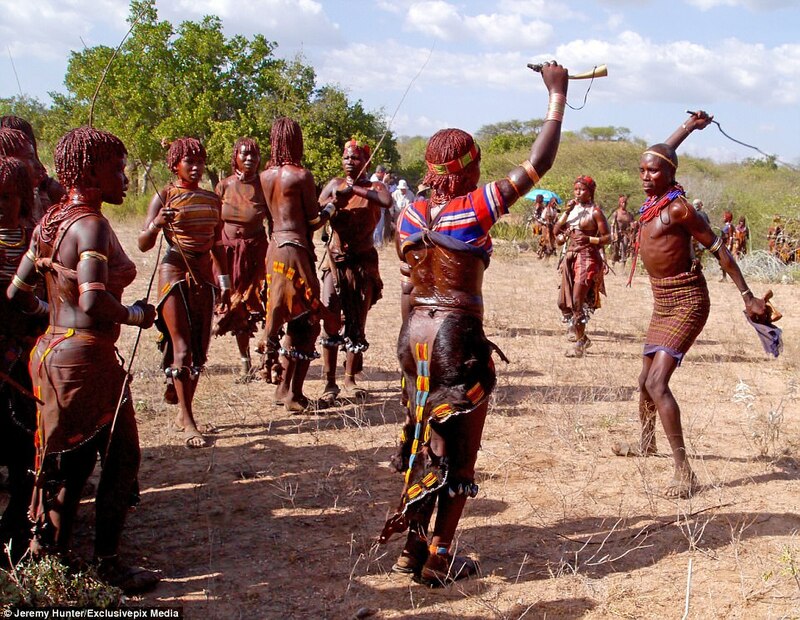 Hamar women of the Lower Omo Valley, Southern Ethiopia willingly submit themselves to be whipped during the ceremony of Ukuli Bula . It indicates their courage and capacity for love, and is a form of insurance policy. 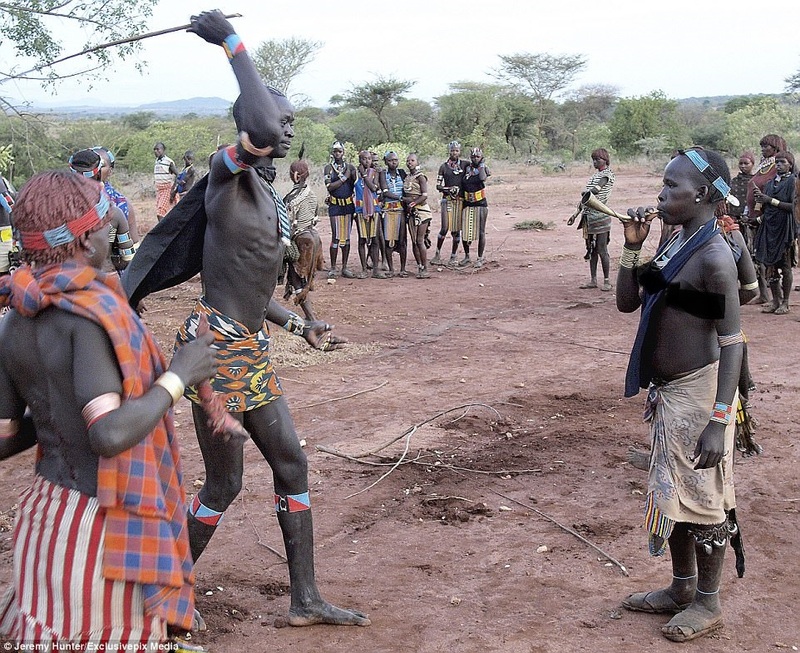 Should they fall on hard times in later life, they will look to the boy who whipped them to request help.To reach manhood, Hamar boys must undergo two rituals: circumcision and a leap over the bulls. 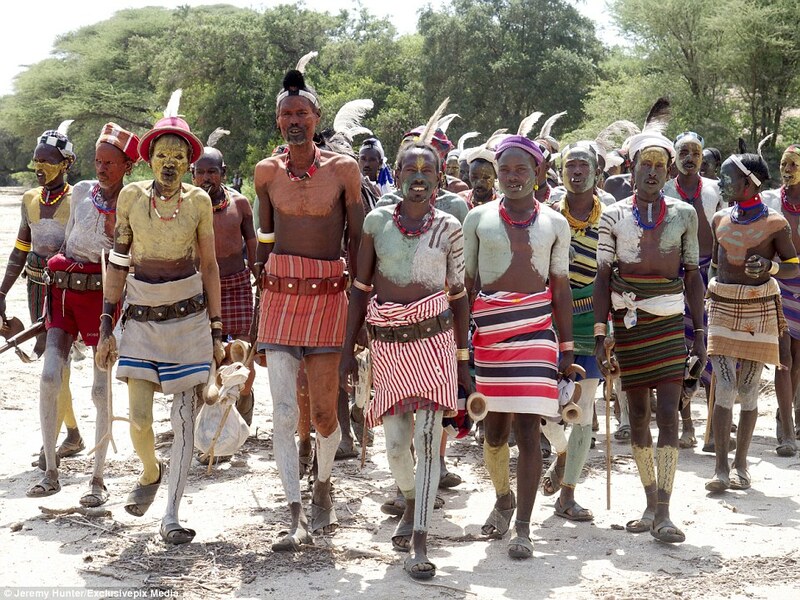 This determines whether the young Hamar male is ready to make the social jump from youth to adulthood.